Some handsome looking gents. One’s a greaser? gems. Or at least I think they are gems. This one was done way back in 2008. If I remember correctly, it was done for my portfolio to Ryerson University when I was applying. This was not an actual event. This was done after I had only just started learning Adobe Illustrator, so it lacks a lot. I’m feeling a desire to re-do it, but I won’t be able to until I can get my graphics programs to function properly. 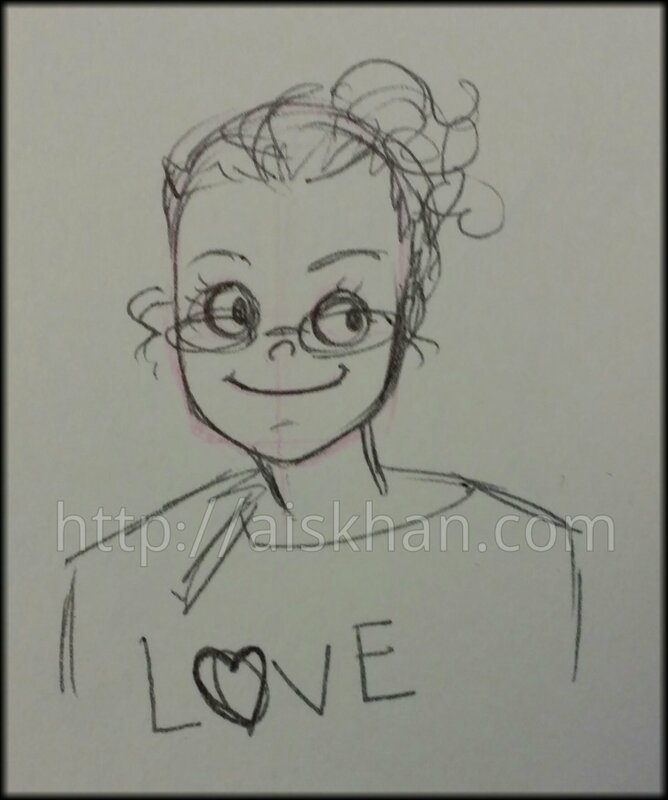 A little doodle of my friend Cheryl. Her birthday was today. Happy Birthday Cheryl! Go check her out at The Loving Instant. 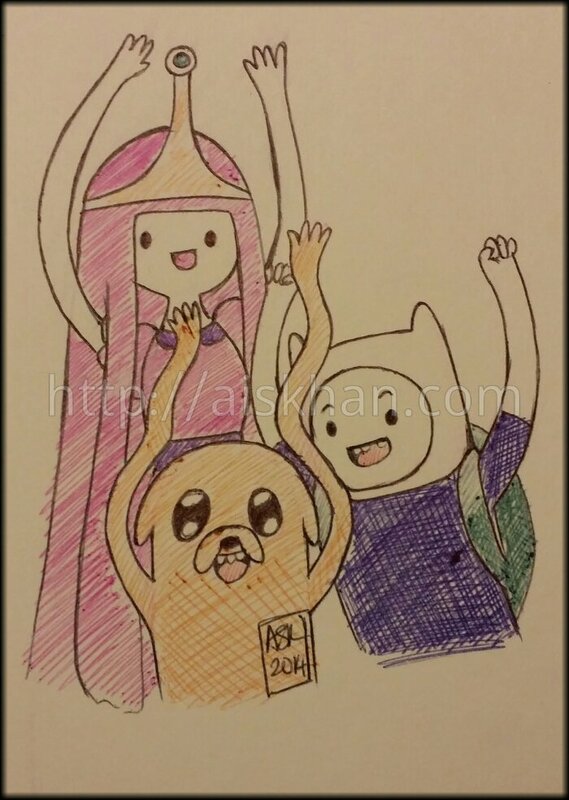 An Adventure Time doodle. I’ve spent my evening watching it. Blue, black, pink, orange, purple and pink pens. 0.5 mm. Before you think this was inspired by Ylvis’s “What does the fox say?” song/video, it wasn’t. This was done before I even knew Ylvis existed. 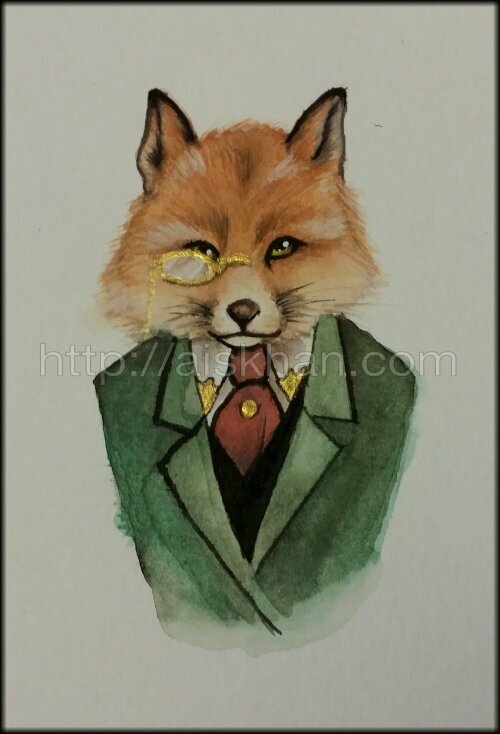 He’s not yet finished as I’m still waiting for my gold foil to arrive. I wish I had posted this earlier but sadly I forgot about it. 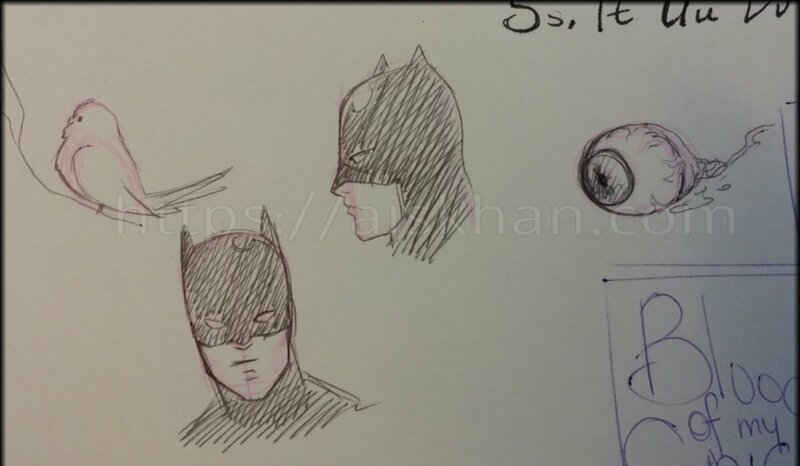 Batman, a random eyeball, and pickle in the left top corner. 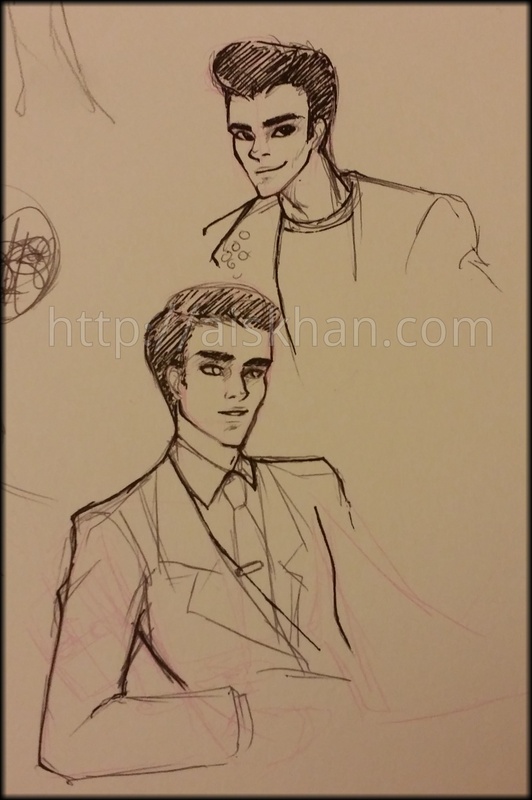 A bunch of doodles in my sketchbook done between projects. More after the break.